HostGator has been there for more than a decade and it’s well respected for its numerous servers and their constant reliability. Mostly known as shared hosting provider across the world, HostGator supplies decent VPS and dedicated options still if you require your website to scale. Before you go, check out our recent post about how to find best website hosting service. 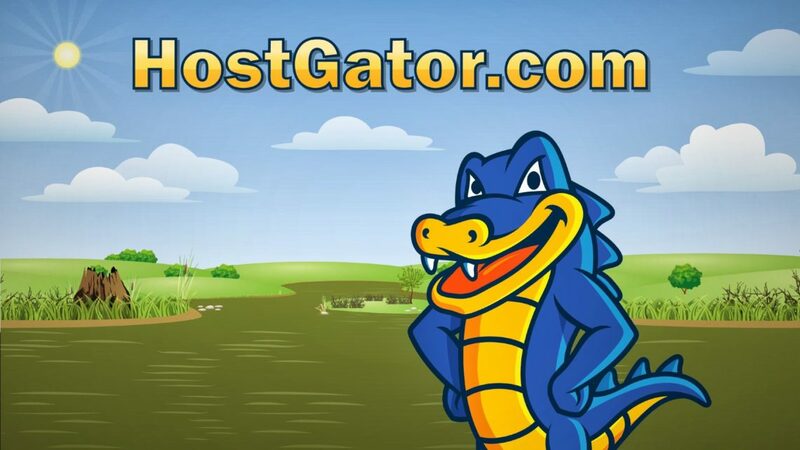 HostGator has more than 9 million domains, which has made it one of the most famous web hosts out there. With 99.9% uptime guarantee, one-click WordPress installation (see more about portfolio themes for wordpress), and 24/7 customer support, it is an excellent choice for all website owner. Check wordpress themes for directories, WordPress themes for business, WordPress e-commerce themes and buy secured wordpress theme providershere. HostGator is the ideal choice for business and personal websites, blogs and eCommerce sites. You get unlimited bandwidth and unlimited traffic even with the basic hosting plans. For both professional and personal websites, HostGator is the top choice. Let’s dive into this HostGator review to find out more. 1. 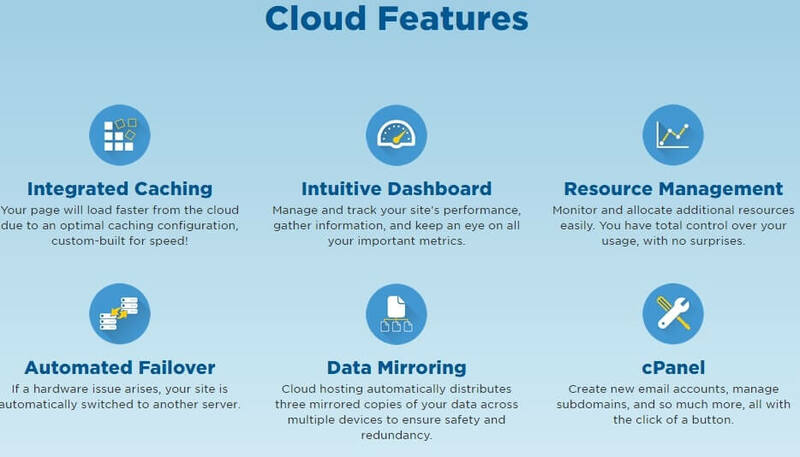 What Basic Features Make Hostgator The Best? Feature features, features… HostGator is filled with features. Based in Houston, HostGator was founded in 2002 This web hosting company has developed from a small hosting provider to a very big international company, hosting millions of websites and operating more than 5000 servers. HostGator isn’t just popular, but I found that it also offers outstanding services and speedy customer support. It is a features rich best web hosting services provider offering unlimited bandwidth, unlimited disk space, unlimited sub domains. 2. Do HostGator Have A Reliable Server? HostGator does not own their servers actually. HostGator rents them from SoftLayer. SoftLayer has 4 diverse data centers located in Houston, Washington DC, Seattle and Dallas. 3. What Amazing Email Features Does Hostgator Have On Offer? What is the point of an online presence if visitors to your website cannot contact you? If you are looking for the best website hosting for email, HostGator offers an unlimited amount of email accounts from the beginning. 4. What Are The Most Attractive E-commerce Features? 5. How To Protect Your Website With Hostgator’sSecurity Features? 6. What are the Most Flexible Control Panel Features? Control Panel is the software which runs your server backend. HostGator uses the most recent control panel software to quickly power their administration console. You can now get rolling promptly, including tasks like creating and launching the eCommece shopping carts. Its layout and the way on which its processor runs, makes performing tasks seamless and logical. The HostGator Links Section – This section includes the billing system, domain management, account addons, live chat support, support portal, website templates. The Mail Section – It includes web mail, email accounts, spam assassins, forwarders, auto responders, mailing lists, default address, import addresses/forwarders, etc. The Databases Section – This section includes MySQL Databases, MySQL Databases Wizard, Remote MySQL, phpMyAdmin, etc. The Security Section – This includes Password Protected Directories, IP Deny Manager, HotLink Protection, etc. The Advanced Section – this section includes Apache Handlers, Index Manager, Image Manager, Network Tools, CloudFlare, etc. The Domains Section – This section include addon domains, subdomains, redirects, parked domains, simple DNS zone editor, etc. 7. What are the Advantages and Disadvantages of HostGator? HostGator is a web hosting service provider with a very old, great reputation for excellent web hosting services and proficient support. Though not the cheapest host, HostGator offers a wide range of services and features for almost anyone. 8. What Are The Services Offered By Hostgator? 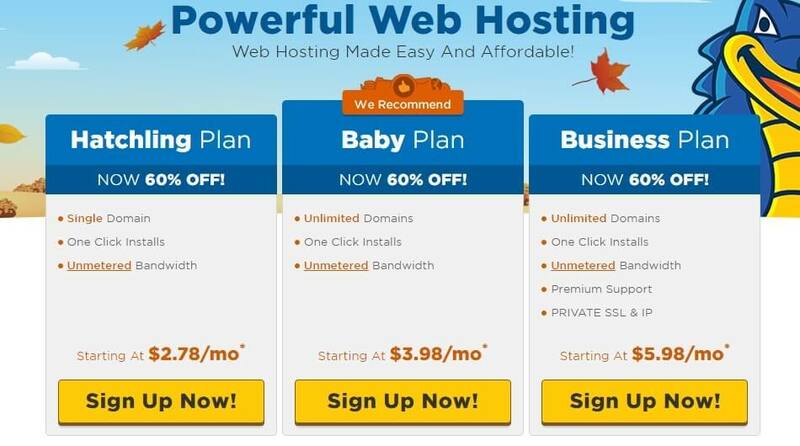 HostGator has different hosting plans built for a wide variety of subscribers. In fact they have so many features and plans on offer that it might get confusing to decide which one is best for you. Shared hosting is available under 3 plans, namely Hatching Plan, Baby Plan and Business Plan. You can see the features of these plans in the screenshot below. The Hatchling plan is ideal for people just starting up their very first website, with shared SSL Certificate, single domain name and more other features that are common with other plans. Scaling up to next level, Baby plan come with great support for shared SSL certificate and unlimited domain names. Whereas, the business plan, great for medium and small businesses, comes with dedicated IP, private SSL certificate and support for unlimited domains. The personal plan comes with shared SSL certificate and single domain, while the enterprise plan of Windows Hosting by HostGator offers free Private SSL and IP and support for 5 domains. 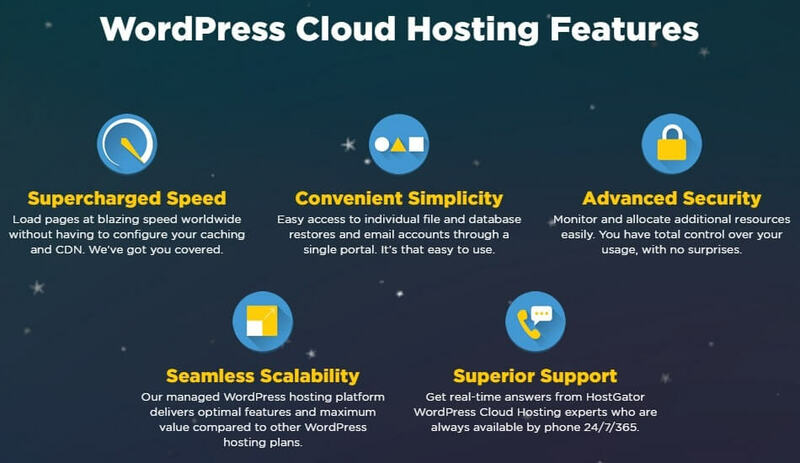 Cloud Hosting by HostGator offers 3 tiers, with Hatchling cloud offering single domain and 2GB memory, Baby cloud offering unlimited domains and 4GB memory and Business Cloud offering Unlimited domains, 6GB Memory and Free Private IP and SSL. HostGator VPS is fully customizable and it can be upgraded whenever your website grows. VPS hosting is perfect bridge between dedicated hosting and shared hosting. 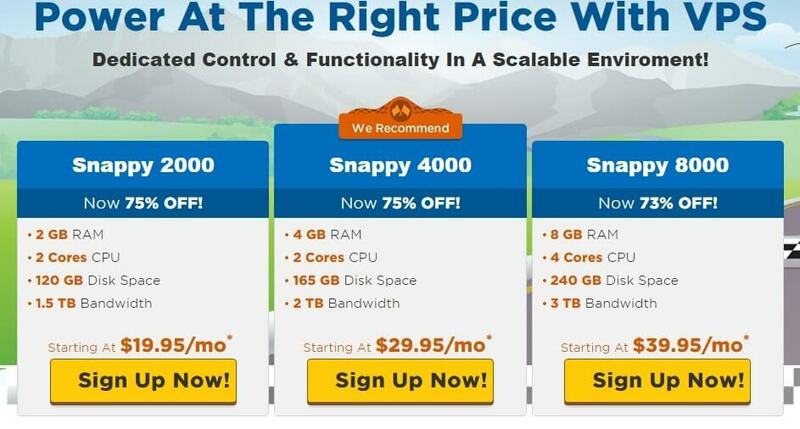 The Snappy 2000 plan under VPS Hosting by HostGator offers 2 GB RAM, 1.5 TB Bandwidth, 120 GB Disk Space and 2 cores CPU, whereas the Snappy 4000 plan offers 2TB Bandwidth, 165 GB Disk Space, 2 Cores CPU and 4 GB RAM. And the Snappy 8000 plan offers 3TB Bandwidth, 240 GB Disk Space, 4 Cores CPU and 8 GB RAM. HostGator’s dedicated hosting comes in 4 different tires: Basic Plan, Standard Plan, Elite Plan and Pro Plan. Their features are a given below in the screenshot. For Dedicated Servers, HostGator has 4 tiers. The Basic plan offers 10 TB bandwisth, 500 GB RAID -1 storage drives, 100 Mbps uplink, 4GB RAM, 2.3 GHz speed Intel Xeon core processor. The Standard server offers 15 TB bandwisth, 1000 GB RAID -1 storage drives, 250 Mbps uplink, 4GB RAM, Intel Xeon core processor of 2.5GHz and 3 dedicated IP addresses. The Elite Plan offers 20 TB bandwisth, 1000 GB RAID -1 storage drives, 500 Mbps uplink, 8GB RAM, Intel Xeon core processor of 2.5GHz and 4 dedicated IP addresses. The Pro Plan offers 25 TB bandwisth, 1000 GB RAID -1 storage drives, 1 Gbps uplink, 16GB RAM, Intel Xeon core processor of 3.3 GHz and 5 dedicated IP addresses. HostGator has some great reseller hosting plans for the designers who wish to offer web hosting services. The aluminum plan comes with 60 GB disk, 600 GB Bandwidth and Unlimited domains. The copper plan comes with 90 GB disk, 900 GB Bandwidth and Unlimited domains. The silver plan offers 140 GB disk, 1400 GB Bandwidth and Unlimited domains. 9. Is the HostGator’s Migration Process Free? HostGator will happily help you with relocating your existing site over to their service for free from any other hosting service provider. I tested its online web chat. After typing in my question and starting the online chat, my estimated time was displayed to be one minute. Lesser than a minute was completed and a representative got connected with me and offered simple to understand instructions to import a blog. I also dialed up the phone technical support on one Tuesday morning. The instructions to my queries were given via a quick email and I was quite satisfied. 11. Is HostGator’s Performance Worth The Money You Spend? We believe that it is this section, which grasps first priority. HostGator has a very clear record of highly powerful servers’ located at outstanding data centers across the world. Most users have positive opinions towards the HostGator performance. Websites and blogs hosted by HostGator have an enviable Page speed. Even with the most inexpensive plan of HostGator, you can rest assured to get awesome performance. With an “A+” performance on bitcatcha, the speed of HostGator in US(W) is 9ms, US(E) is 3ms, London is 37 ms, Singapore is 7 ms, Sao Paulo is 124 ms, Pune is 133 ms, Japan is 196 ms and Sydney is 100 ms. When it comes to performance and speed, HostGator is one of the best web hosting services provider. 12. What I Found In My Hostgator’s Speed Test? The test measures total time that it takes to load a web page. Lowe is always better. HostGator performs above average when it comes to Page Speed Test. Its average result was 3s. Its best run was 2.43s. 13. What I found in my HostGator’s uptime review? Website uptime is among the most imperative aspects of any hosting service. So, if your website is down, customers or clients will not be able to find you and access your services and products. Once you peel back the primary layer, it s simple to see why HostGator has been able to enjoy such a great success. They pride themselves on having on a few of the finest technology across the world for best servers and equipments. 14. How Good Is HostGator’s Refund Policy? HostGator does better than most competitors here. For complete peace of your mind, HostGator offers a 45 days, no-nonsense money back guarantee for the new hosting accounts. Moreover, their month by month pan can be easily cancelled without penalty at any time. 15. Is HostGator’s Active on Social Media Platforms? HostGator is quite active on different social media platforms. Some of them include Facebook, Twitter, Google+, YouTube, LinkedIn, Pinterest, Tumblr, Flickr, etc. 16. What is in the Reviews on Other Websites about HostGator? As always, I did not want to simply count on my experience when it came to HostGator review, so I did some more digging to find out what others had to say about this hosting service provider and the services offered by them. Certainly, sorting through real webhosting reviews by actual clients and those of people hired by this company or affiliates was not easy, but I somehow managed to get through. After reading more than 100 HostGator reviews, I found that HostGator is an easy and smart choice because of its 24/7 available support, 99.9% uptime, 1 click WordPress installation and nice plans on offer. If you want to host your wordpress on secured and professional way, check WPEngine review here. 17. Who Are The Top Clients Of HostGator? 18. For Whom Do I Recommend HostGator For? A great quality about HostGator is that it’s quite good for everybody. It offers such a large range of hosting types and plans that irrespective of your budget or your needs, you’ll find something to fit in your needs and budget. So, whether you have a small personal site or run a worldwide commercial enterprise, HostGator has you covered. 19. How To Sign Up With HostGator? Confirm that Package desired is package selected. Also, choose the desired billing cycle. Review order to make sure that all selections are made correctly.